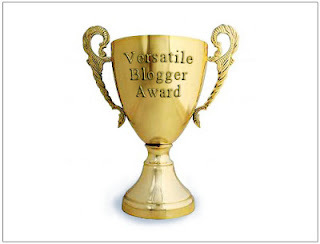 Thank the blogger who nominated you in a post with a link to their site. Share 7 completely random facts about yourself. Inform each nominated blogger of their nomination. Kristin at Pondhoppin - One of my BEST friends from Neiman Marcus- we both worked on Bergdorf Goodman and quit to move to Europe with our husbands. She is now adventuring in LONDON! We can't wait to visit them this Fall. Jayne & Katie at I'll Take Two - Jayne is one of my best friends from Dallas and she is now living in Kansas City and co-blogs with her ever-adorable sister Katie who resides in DC! You will love their daily dose of cute. Sarah at Racing Towards Joy - Sarah is someone I look up to immensely. We have known each other since high school and she is one of the most encouraging individuals I know. Her blog is always so honest and inspiring. Chickster at Up, Up, & Awayz - Chickster and I have been navigating our first year through French life together. I love reading her hilarious tales of her new French endeavors. A Texas girl after my own heart. Kristin at Un Homme et Une Femme - Another favorite French read! Kristin just made the hop from NYC to Paris and is figuring out the cultural differences alongside all of us new expats :) She recently invited us up to Paris for a party, but I will sadly be in Texas... next time! I have been on the Home Shopping Network. Yep, I sold watches on live television. It was one of the scariest but most amazing experiences of my life. I lived in Nashville, Tennessee for 5 years when I was little bitty. I have VERY fond memories there and think its absolutely gorgeous, although I have never cared for country music. I am addicted to Nicholas Sparks books. Because of this, I tend to think I would incredibly happy living anywhere in North Carolina since all of his novels take place there. I can't wait to see "The Lucky One" when I am in Texas next month- that was the book I read on our honeymoon so it holds a special place in my heart. I was a Level 8 competitive gymnast. I started gymnastics when I was 5 and by 7th grade I was practicing 20 hours per week. I quit in 9th grade when I "sold my soul to cheerleading" as my gymnastics coach put it. ha! GO WILDCATS!!! i am smiling right now. congrats! great post. Love it! Told you so...so talented! Wow, thanks Abby! We are honored :) We will pass the award along soon! Abby! You ABSOLUTELY deserve that award! You are RIDICULoUSLY talented! I look forward to when I get to read your posts! Love you friend! 24 days!!!! I'm seriously impressed by your stint on the Home Shopping Network! Please tell me you have an old clip you can post on your blog?? ?